Taken c1905. The rear of the house, which has the best view. It faces WSW over Matlock and the Derwent Valley (see below). 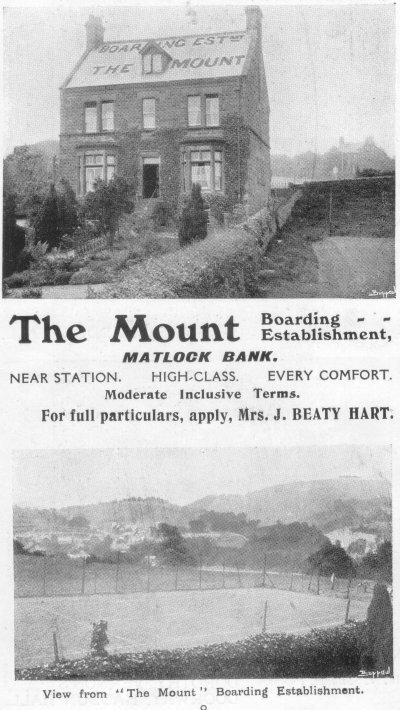 From "The Borough Guide to Matlock", published about 1905.. The Mount was run by John Hart in 1901 and Thomas Drabble in 1891. "The Mount Matlock - now privately owned flats - at the junction of Steep Turnpike and Chesterfield Road where it becomes known as Lime Tree Road. The photograph is taken from the back garden, most of which is now the residents' car park on Steep Turnpike. 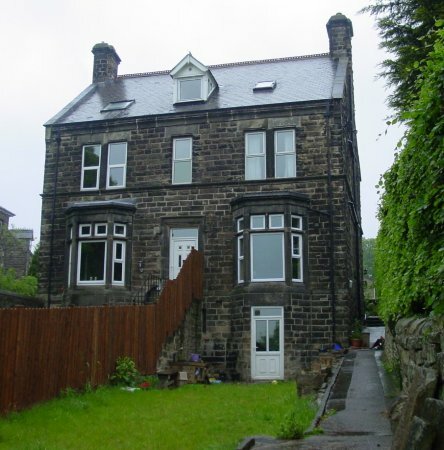 The back of the house faces WSW over Matlock and the Derwent Valley".